The new AQUATRAP AT150RS from Abatement Technologies® delivers powerful structural drying power in a durable, roto-molded plastic cabinet. 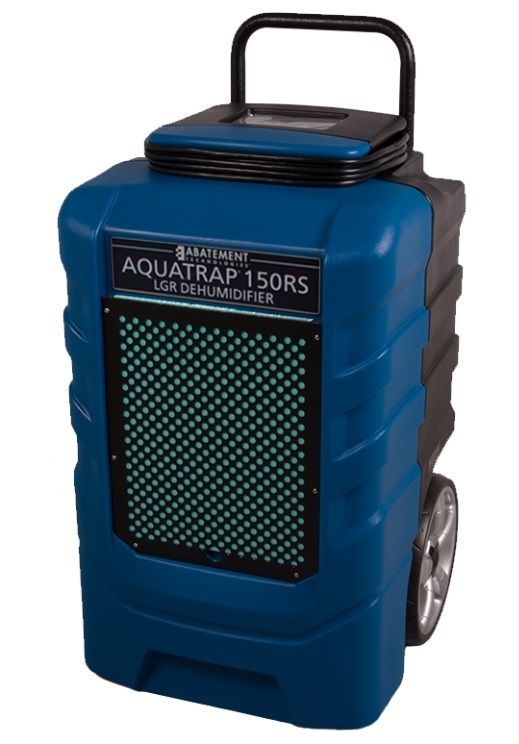 Weighing just 87 pounds, the AT150RS provides unsurpassed LGR water removal and grain depression in a wide range of operating temperatures making it the most productive dehumidifier in its weight class. Large, recessed tires and a built-in, ergonomic handle provide superior maneuverability on the job site. Easy internal cabinet access makes AT150RS simple to maintain and service. The unit is also stackable.